I got upset in the Outer Banks. I was cryin’. 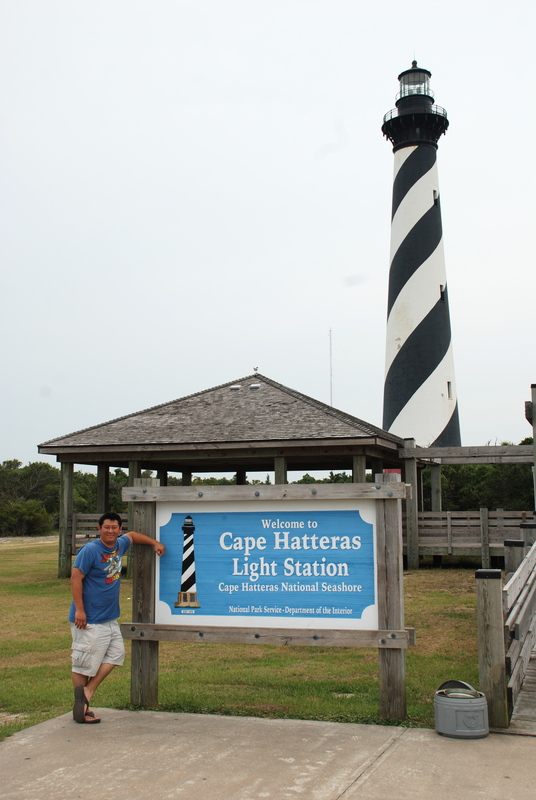 Earlier in the week, we had been to the Cape Hatteras lighthouse. They are a National Park, so they sell these National Park Passports. You can get your passport stamped at every National Park. The only ones I’ve been to are Cape Hatteras and Jamestown. So, in the car driving around Buxton, Tom was saying wouldn’t it be neat if that was something we did with our son. Every year we take a trip to get his National Parks Passport stamped. Sometimes we’ll go on big trips, like to Yosemite in California or the Grand Canyon in Arizona. Other times, the trips will be closer to home, like Hatteras or Jamestown. At Christmas, we’ll present options, and Little Mr. Happy gets to make the final choice. It was so good. It made me so happy – turned my frown upside-down! Someone said that having a kid intensifies whatever kind of relationship you have. So, if you and your husband’s relationship isn’t great, a kid will make it super-challenging, but if your relationship is awesome, well, then you’ll be a super-awesome family. I think that’s us. I think we’re going to be super-awesome.